Mitchell's 300 series spinning reel provides superior line management properties and unmatched strength. 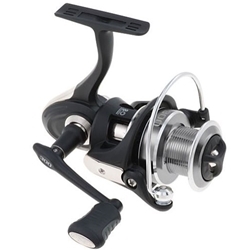 This reel has 8 bearings and an extremely strong advanced polymeric body. The 300 series has a 5.1:1 gear ratio, 14lb max drag, and will hold 180yds of 12lb line.